General manager Dale Tallon remade the roster last summer, adding 10 new players to a core of Stephen Weiss and little else. Entering this season, "these guys" are the defending Southeast Division champion, and the questions now involve a team on the rise that could be a player or two (from inside or outside) from entering Stanley Cup contention. 1. Do the Panthers really need Roberto Luongo? 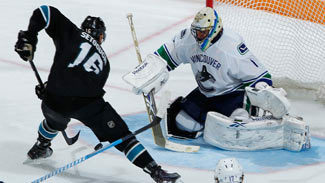 The Vancouver Canucks seem prepared to trade their franchise goaltender. Luongo has said he'd be willing to return to the Panthers. Tallon has not ruled out making the deal. 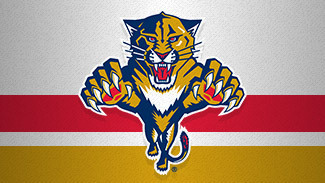 "Obviously Vancouver's in the driver's seat," Tallon said on the Panthers' website. "I'm willing to listen to anything they have to offer." The Canucks' asking price (reportedly starting with prospect Nick Bjugstad) is too high for the Panthers' liking. Plus, with Jose Theodore and Scott Clemmensen established as NHL goaltenders, and prospect Jacob Markstrom waiting in the wings, the Panthers' need at the position is not overwhelming -- or even whelming. Luongo's career resume is impressive: 2010 Olympic gold medal; three All-Star Games; top 10 in wins six times (led the League in 2010-11); second in career wins among active players; 17th in all-time wins. But Luongo's save percentage last season was .919, matching his career average. Theodore's was .917; Clemmensen's was .913. Based on the Panthers' per-game average of 30.5 shots allowed, the difference between Luongo and the current tandem would be one goal every eight games. In addition to whatever it would cost in assets to make a trade, Luongo, at 33 years old, has 10 years and a $5.3 million annual salary-cap charge remaining on his contract. And if Luongo arrives, what do the Panthers do with Markstrom? The 22-year old is considered one of the best players not in the NHL full-time. If he is indeed the Panthers' goalie of the future, there's little reason to revisit the past with Luongo, who played for them from 2000-06. "Our goaltending was a real strong suit of ours last year," Tallon said. "... All three of them work well together and they were solid for us last year. It wasn't an issue, goaltending." 2. Does the Panthers' top line deserve a nickname? Stephen Weiss, Kris Versteeg and Tomas Fleischmann -- anyone for "The Rat Pack"? -- combined for more points with each other on the ice than any trio of forwards in the NHL last season. According to DobberHockey.com, the Weiss-Versteeg-Fleischmann trio totaled 108 points, ahead of Toronto's Bozak-Kessel-Lupul line (106 points), Montreal's Cole-Desharnais-Pacioretty trio (105), Detroit's Filppula-Hudler-Zetterberg (104), and Pittsburgh's Malkin-Neal-Kunitz (104). "It's a pleasure to watch them play the game, with their skill level, and their intensity, and how they move the puck, and how they're unselfish, and how they really fed off of each other throughout the regular season and in the playoffs," Tallon said. The Panthers rode their top line -- "The Sunshine Boys"? -- as long as they could, and maybe a little too long. In 39 games prior to Jan. 1, they combined for 105 points and were plus-40. In 43 games during calendar year 2012, they combined for 67 points and were minus-38. Opponents learned that stopping them would stop the Panthers, and the team rarely split them in an effort to balance their scoring. Also, Versteeg after the season addressed a hip injury that in hindsight limited him and his linemates. "During the season it definitely gets on your mind but you don't want to say it affects you too much because you're a hockey player and you don't make excuses," Versteeg said after signing a new four-year contract. But the line -- "Miami Ice"? -- responded in the Stanley Cup Playoffs, scoring nine of the team's 17 goals and getting seven assists against the New Jersey Devils, whom the Panthers led 3-2 in the series before losing Game 6 in overtime and Game 7 in double OT. 3. So, who will provide secondary scoring? The first line was great offensively -- lines two through four, though, not so much. The Weiss-Versteeg-Fleischmann unit combined for 70 goals, more than one-third of the Panthers’ total, and had 76 points at even strength. Florida's next best combination (Sean Bergenheim-Marcel Goc-Mikael Samuelsson) had 29 even-strength points, and Samuelsson no longer is with the team. No other forward combination had more than nine points playing together. Top prospect Jonathan Huberdeau is expected to help; he scored almost two points per game for Saint John of the Quebec Major Junior Hockey League last season. And if free-agent signee Peter Mueller can stay healthy and regain his 50-point form, the Panthers should be able to count on two lines of scoring, at least. The defense can chip in too. Jason Garrison (16 goals) is gone, but Brian Campbell, whose 53 points tied for second among NHL defensemen (and ranked fourth on the Panthers), and Dmitry Kulikov (28 points in 58 games) return. 4. But who will play alongside Brian Campbell? Garrison signed with his hometown Vancouver Canucks as a free agent after having his best NHL season playing on the top pair with Campbell. Tallon is confident free-agent signee Filip Kuba can fill the gap. He had 32 points and was plus-26 last season for the Ottawa Senators playing with Norris Trophy winner Erik Karlsson. "Kuba's a good power-play guy. He's got plenty of potential on the power play," Tallon said on Panthers Vision. "He's got 30 points in a year [five] times. He's got a good shot." Kulikov (an unsigned restricted free agent) could move up to the first power-play unit if needed. Garrison did as much for Campbell as Campbell did for him. After two below-his-standard seasons with the Chicago Blackhawks, the 33-year-old had his second-best season in points, averaged almost 27 minutes per game, and became the first defenseman to win the Lady Byng Trophy in 58 years. 5. Can a team ever have too many prospects? From 2009-11, the NHL draft put 28 players into the Panthers system, which is recognized now as one of the deepest and most talented in the NHL. When to bring them up, whose places they will take, who to keep, and who to use in trades -- those could be some of Tallon's most difficult, and scrutinized, decisions. "There's no sense drafting all these kids and having no place for them to play," Tallon said. "... We have to open up some space for these guys when they're ready. We've got some guys who are going to be ready this year, one or two, and we'll have two or three ready next year, and three to five the following year, so we need places for them to play." And if they aren't going to play in Florida, then it could be somewhere else. "They're not all going to be Panthers, but they're all going to help us build the Panthers into a winning organization for many years to come," Tallon said. 6. Can the Panthers handle success? The Panthers won a division title for the first time in their history last season. Their Southeast Division rivals noticed. The Washington Capitals added Mike Ribeiro. The Tampa Bay Lightning traded for Anders Lindback and signed Matt Carle. The Winnipeg Jets signed Olli Jokinen. And the Carolina Hurricanes traded for Jordan Staal, signed Alexander Semin, and got Jeff Skinner's name on a long-term contract extension. The Panthers are confident they don't need to respond hastily. "I don't look at it as [us wearing] a target. I look at it as a progression for us," Tallon said. "We're ahead of schedule. No one expected us to be where we're at this soon, and neither did we, to be honest with you. But we're satisfied that we had a great year. But we still have the same plan in place that we had prior to this season and we've got long-term goals and we have a blueprint in place and we're going to stick with it." The Southeast was the closest division in the NHL last season -- Florida held off Washington by two points for the title, and finished 12 points ahead of last place Carolina. The average spread first-to-last in the other five divisions was 30 points. "We're excited with what we did but we're not satisfied," Tallon said. "We'll move forward and get better. We saw how exciting it was at the end and in the playoffs and we want to maintain that and go deeper and further in the playoffs. That's our goal."